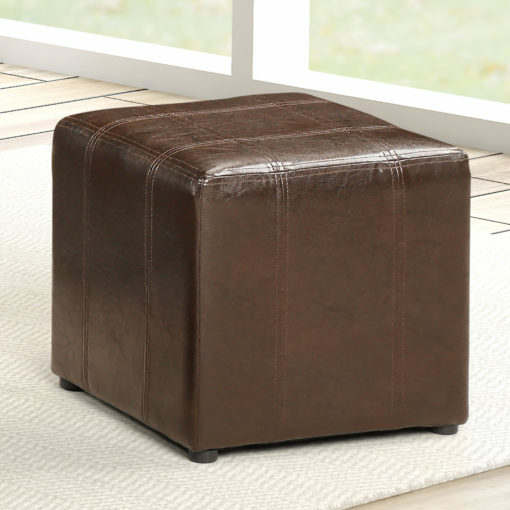 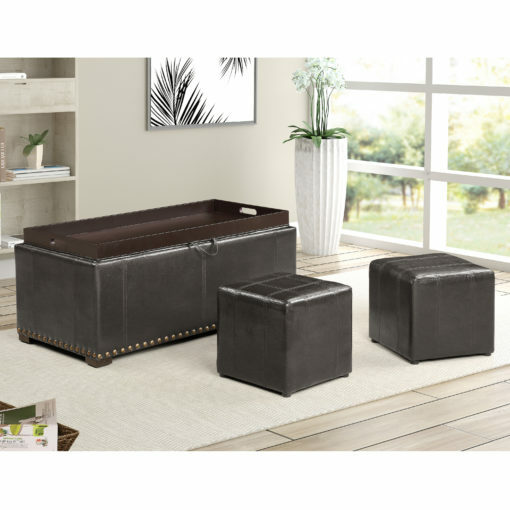 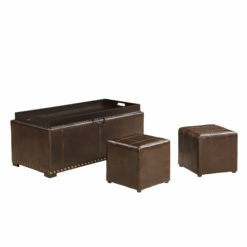 This brown storage bench with 2 side ottomans is the perfect addition to any living room. 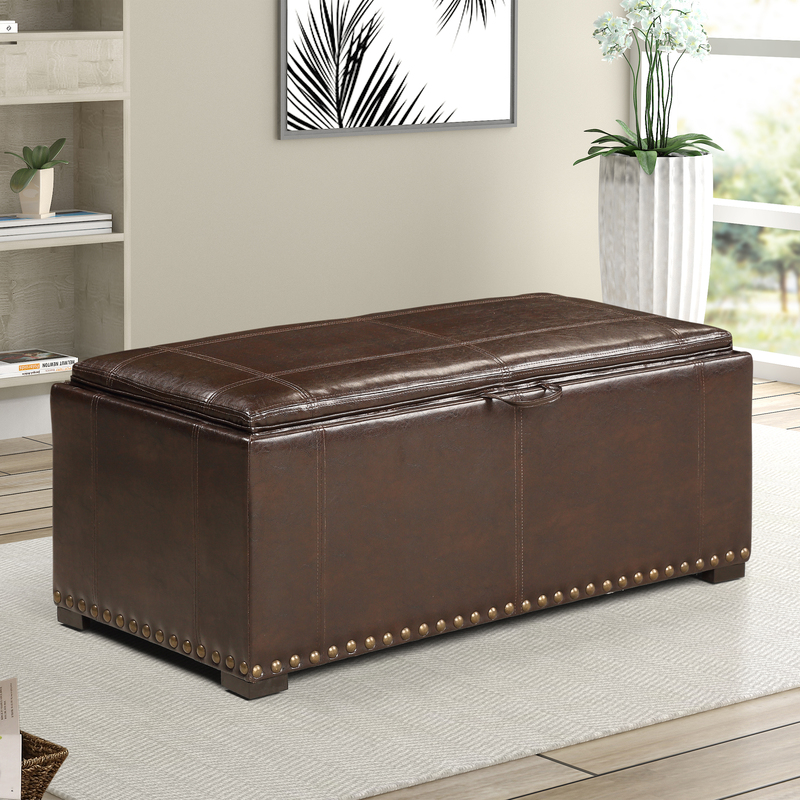 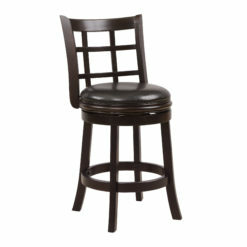 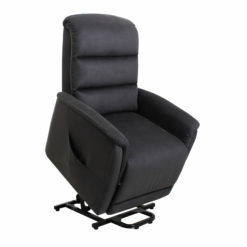 Made with beautiful faux leather featuring tufted nail heads. 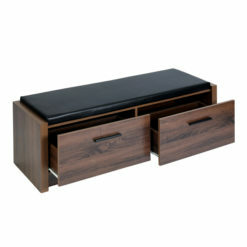 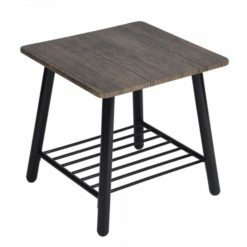 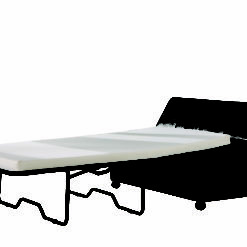 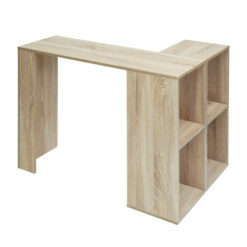 The innovative design of this storage bench easily transitions from a bench into a table. 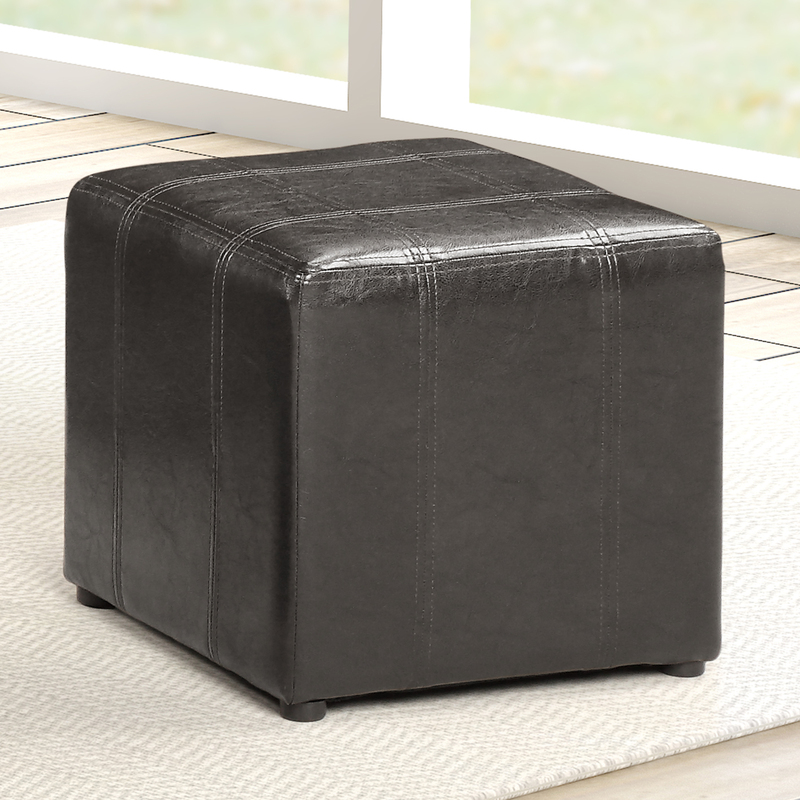 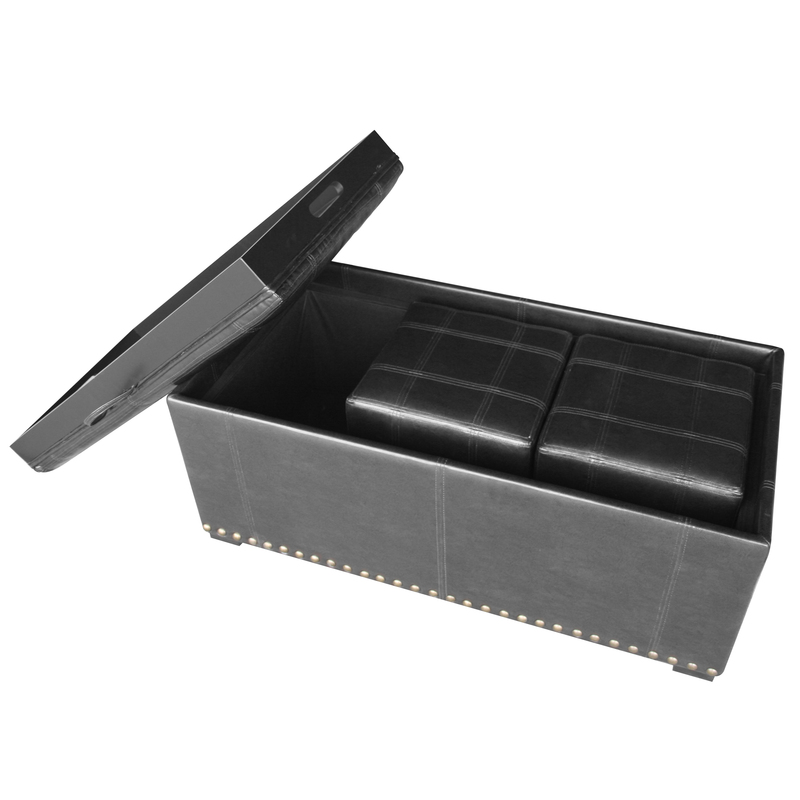 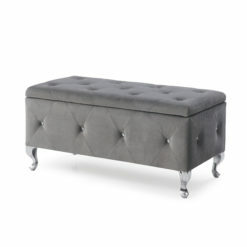 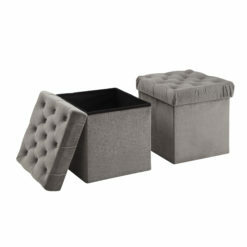 Included are two ottomans which not only compliment the style but acts as additional footrests.